Hello everyone... Helen is back today. I hope you all had a wonderful Christmas time with your families and friends. 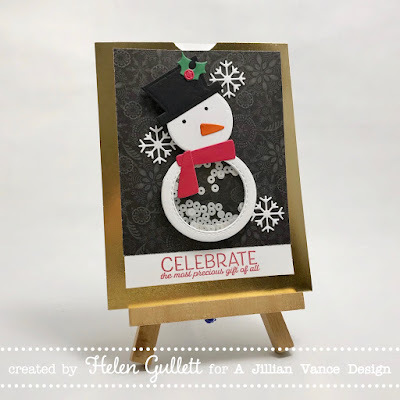 I am still in the Christmas mood :) :) :) I created this shaker pop up card using the cute Sam E. Snowman Shaker Die Set. 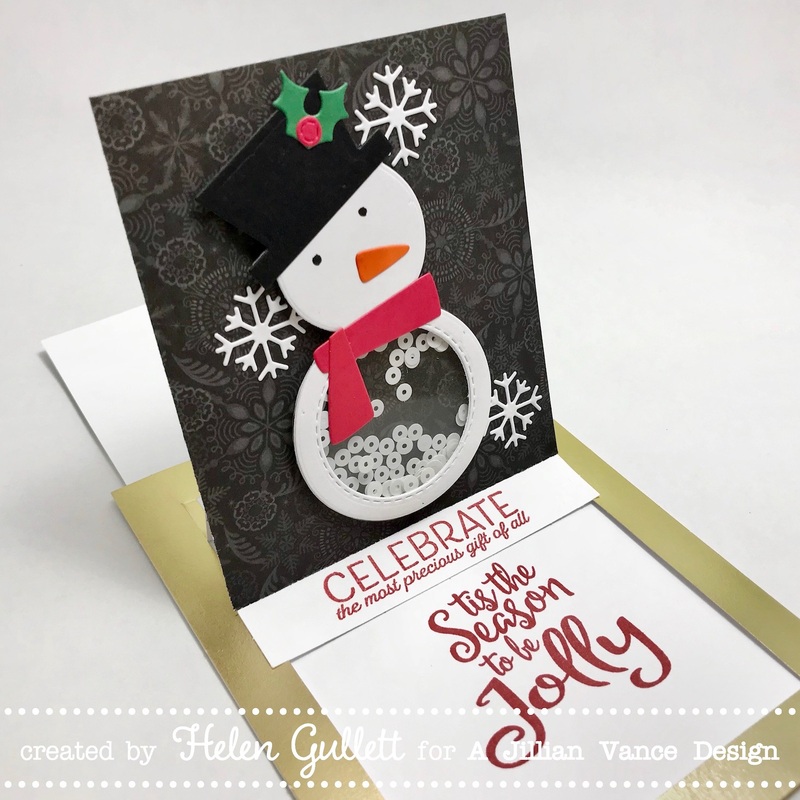 I used the Snowcap White Opaque Sequins to fill it. 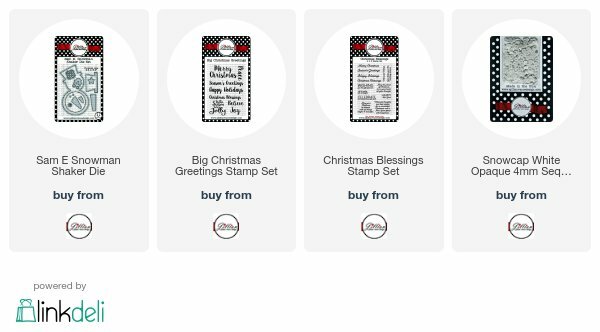 For the sentiments, I used one from Big Christmas Greetings Stamp Set and one from Christmas Blessings Stamp Set. I stamped them with Cranberry ink pad. And then I added some of the snow flake diecuts on the background from extra embellishment to the snowman. This card is snow much fun! So when you pull the tab out, it will pop up and will reveal secret message inside. THANK YOU SNOW MUCH FOR STOPPING BY! Thanks for the fabulous giveaway. I love your inkpression plates. They are gorgeous. Happy New Year.